Clear slip on side shields for presciption glasses Does not meet ANSI standard. Clear Lens: General purposes for indoor applications that require impact protection. First class optical lens provides unrestricted vision. 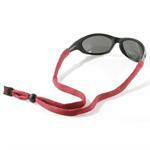 Offers protection from excessive glare Provides 99% protection from harmful UV-A and UV-B rays.